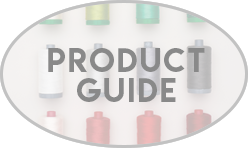 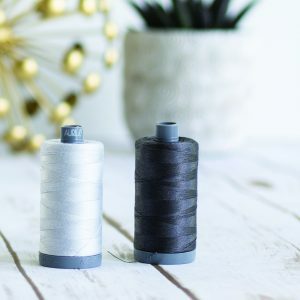 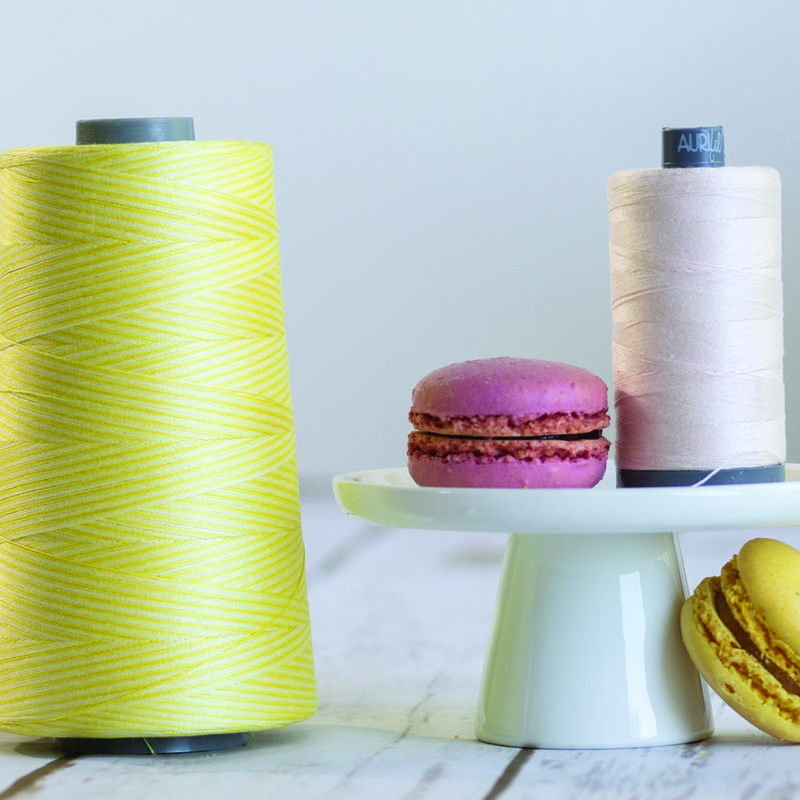 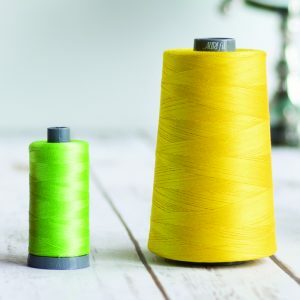 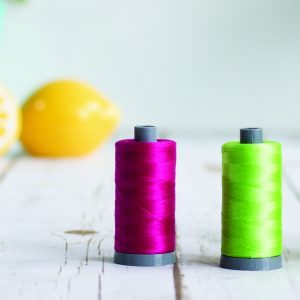 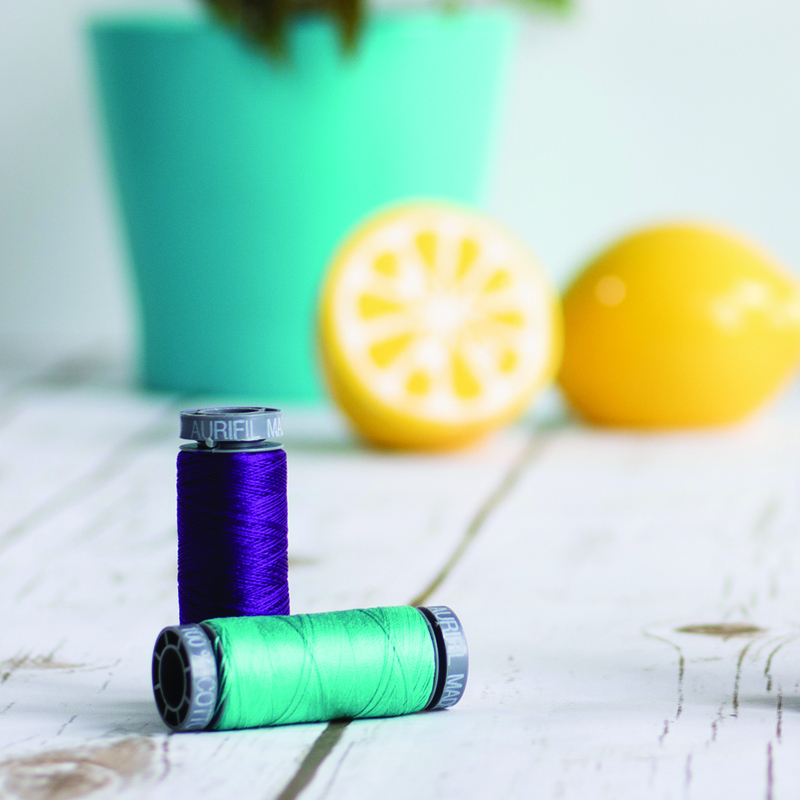 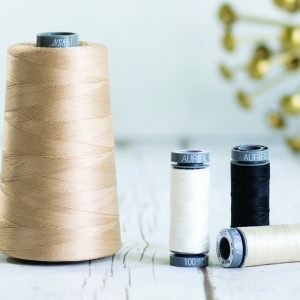 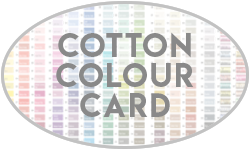 Aurifil’s 100% Cotton 28wt thread comes in all 270 of our Cotton colours and is wound on a grey spool. 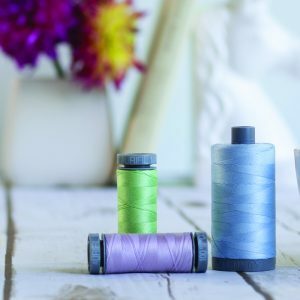 It is the second heaviest weight thread that we offer and is perfect for double strand cross stitch, blanket stitch, hand applique, hand piecing, hand quilting, bobbin and machine lace, machine quilting, longarm quilting, machine embroidery and lower looper serging. Go a little slower than normal while using in a Longarm machine, especially when creating curves.